Dubai, UAE, 14th July 2015: QNET, a prominent Asian direct selling company, has unveiled three powdered food supplements for the global market under its LifeQode range that are 100% vegetarian, organic and halal. LifeQode is formulated to restore the human body balance by replenishing consumers nutrient needs using natural food extracts, giving life the care it deserves. 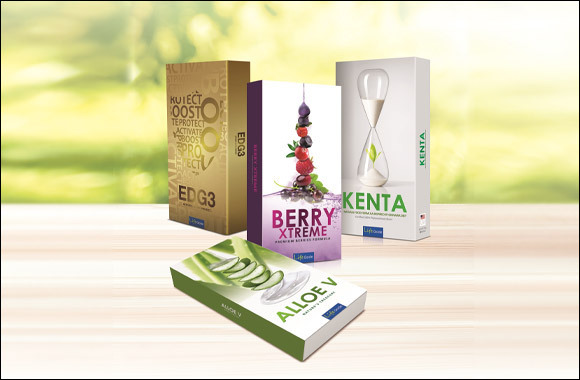 The three new health and wellness products are EDG3, Kenta and Berry Xtreme, which are all made from a selection of naturally derived ingredients to provide for better health and well-being needs. Khaled Diab, Regional General Manager of QNET MENA says, “EDG3, Kenta and Berry Xtreme each respectively provide a revolutionary immune booster, gentle hormone stimulation and balance, and berry derived phytonutrients. Your health is your wealth and the key to a fulfilling and meaningful life. LifeQode has cracked nature's formula to a long healthy life. “The great thing about these supplements is they are lifestyle friendly. They come in convenient daily sachets and great natural flavours. People can also select and combine supplements based on their nutritional needs,” Diab added. Explaining the dire need for these products, Diab said that modern lifestyles invariably result in an over-dependency on processed foods with limited nutrient density. “This creates a severe imbalance in your body's regenerative capabilities. When the body cannot regenerate effectively, a nutrient crisis will sooner or later lead to a host of chronic health problems. LifeQode, a balanced diet and light exercise could add life to your years, and years to your life.,” added Diab. These latest products from QNET feature critical R&D and satisfy a broad set of needs with proprietary formulas that provide great taste while still being healthy. EDG3, Kenta and Berry Xtreme bring QNET's range of products to more than 40 products that include home and personal care. QNET sells a variety of exclusive and innovative products of high quality to enhance the lives of its customers around the world. QNET's range of products now includes 40 different brands in a wide range of categories including wellness, personal care, jewelry, nutrition, holiday packages, luxury, homecare, weight management and online educational.